2014/04/28 11:38:02: Packet authenticated by transport layer 2014/04/28 11:38:06: Activesync: Start discovery. 2014/04/28 11:38:06: HTTP client: Resolving autodiscover.opencellular.de:80 2014/04/28 11:38:06: HTTP client: Connect to :80, pending requests 0 2014/04/28 11:38:06: Activesync: Redirection. 2014/04/28 11:38:06: Activesync: Start discovery. 2014/04/28 11:38:06: Certificate for autodiscover-s.outlook.com could not be verified against  2014/04/28 11:38:06: HTTP :443: [4342df04] send_alert(022e) 2014/04/28 11:38:06: HTTP :443: [4342df04] process_server_hello_done() 2014/04/28 11:38:06: HTTP :443: [4342df04] send_alert(0230) 2014/04/28 11:38:06: Activesync: Timeout. 2014/04/28 11:38:06: Activesync: Discovery failed. Nach Microsoft ist unter dem CNAME "autodiscover.outlock.com" zu hinterlegen und hier scheint nach "autodiscover-s.outlock.com" aufgelöst zu werden. Es gibt eine Flagge mit der man die Überprüfung von den Zertifikaten ausschalten kann. Das könnte erst mal helfen, über die fehlenden Root-CA hinwegzukommen. Can you please change the setting Verify server certificate: to "No" and try again. If that doesn't help, it could be they changed the activesync address again. I don't why they keep changing their activesync server and not change it for the discovery. I try https://outlock.office365.com and we have the same status error. 13:10:50.550 WEBC: Activesync: Start syncing. 2014/05/06 13:12:44: Activesync: Start syncing. Problem is it works perfectly for me, so I don't know what is going on. Is it possible that you provide me a temporary test account on your email server (and provide me with it's credentials in a private message), so that I can test what exactly is happening? Regardless, I will still check to see what could be the issue here. Yeah and it works. We did fix something regarding https (persistent connections) but that problem I think was only introduced recently. So I don't know, whether this was the reason for your problem or not. Anyway now with the latest version (beta will be made soon), it should work because I just tested it with your test account and got the test contact I created there. 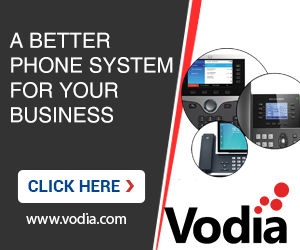 Which operating system is your PBX on including 32-bit or 64-bit information? bitte einmal die Konfig für das Office 365 posten. https://outlook.office365.com and try again. Save, then Sync. Please use the PBX version 5.2.3 or 5.2.3a if possible. Well for me I tested it again and it works. Exchange Address set to: https://outlook.office365.com. Maybe you should test it with the same account you gave me in the private message to see if you get the 2 test contacts I created there. Maybe it could be some contact of yours is giving problems, at least it will narrow it down. By the way since the password for that account had expired, I had to changed the last two digits from 12 to 14, in case you want to test that account first. Additionally, maybe you may have to turn off certificate verification by setting Verify server certificate: to No, only if it does not first work with this setting set to Yes. Make sure to try it with Yes first. After saving the settings, press the sync and wait a little bit.